We think these quirky bottle openers are a lot of fun. Cracking open a stone cold fresh bottle always puts a smile on your face, but it makes it extra amusing whilst pretending you are taking down Stone Cold Steve Austin at the same time. 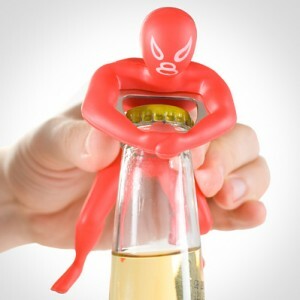 This novelty bottle opener is available in blue, red and black with 3 random wrestling positions.